On Tuesday of this week, Disney World rolled out their new date-based ticket system. And with it most people assumed another price increase. 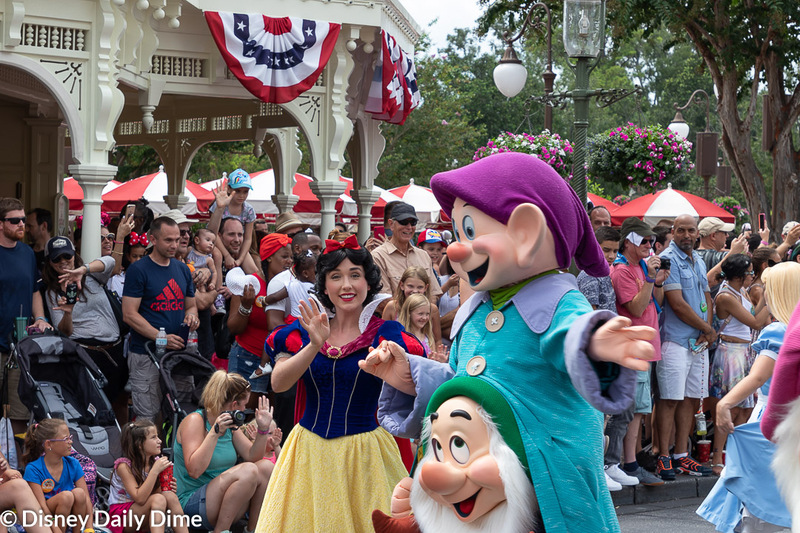 Now that the Disney World date-based ticket system is available for all to see, we’ve gone through the data to see what little nuggets are in there. In this article, we’ll walk you through the system at a high level and hit on what it means for the cost of going to Disney World. We’ll follow this article up with others that will go into more granular detail about certain pricing options. Check the blog each month, as we will revisit how Disney changes prices from one month to the next. That will be a surefire indicator about where tickets are selling and where they aren’t. To get to the new ticket purchasing system, you will find it on a new web page linked here. We discussed how the Disney World date-based ticket system would work when the announced it a few weeks ago. All of the navigation we referenced there is still true, so we won’t rehash that here. We’ve been pretty harsh critics of Disney’s technology in some of or trip planning posts. The pages featuring Olaf losing his head or Stitch saying he ate the page when you are making FastPass+ reservations are infamous and very irritating. So that was one question we had; would the technology work? We’re pleased to say so far, so good. We’ll see if it stands the test of time, but we’re assuming the load on these servers is far less than the mad rush to book FastPass+ reservations at 7:00 AM Eastern time every day. We will say that the calendar view is very functional and responsive. We were envisioning the date-based ticket system to have a lot of lag and be an overall glitchy experience, especially with the calendar. However, we found that it loaded quickly and as you navigated from one month to the next, it was very responsive. Our only minor gripe is that you have to scroll through every month to get to the month you’re interested in. Couldn’t there be a drop down to allow you to go directly to the month you want? Minor thing in the grand scheme of it. How much just depends on when you are thinking about going. There are a few times of year, where it looks like you can save some money using the new date-based ticket system. Let’s use a 5-day ticket as an example. Under the old system, this ticket would have run you around $400 or $79 per day. To find that same price per day under the new date-based ticket system prices, there are all of about 7 weeks in 2019 that will be at the same cost or less. Those weeks revolve around the last week and a half of January, the first and third weeks of February, and most of September. That’s it. Go any other time and you’ll very likely be looking at a price increase. The amount depends on time of year. 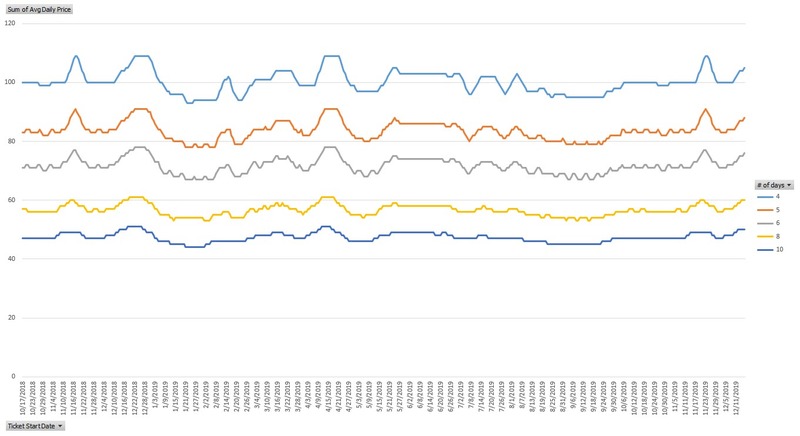 If you’re interested in how a few different ticket options change price throughout the year, see the graph below. 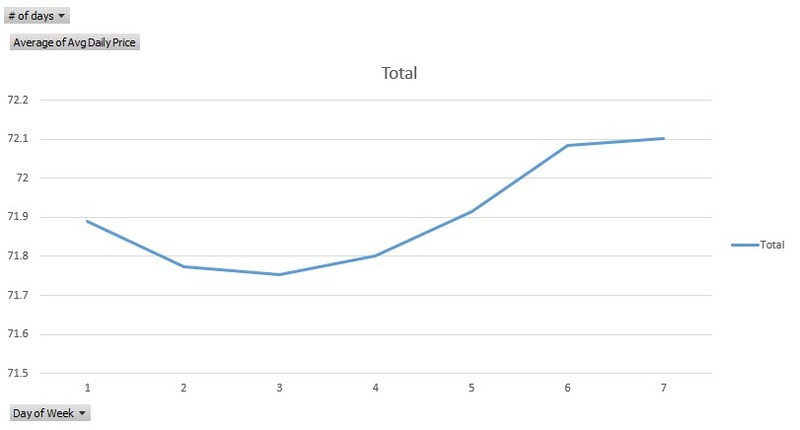 This is showing you the average price per day of the ticket, not the total ticket cost. It’s a lot of data, so we left the image a bit bigger than normal. We’ll hit the highlights of what the time of year increases look like. We’re using the dame 5-day ticket as our reference point for this discussion. However, the general degree of increase is the same regardless of number of days you buy a ticket for. You may want to reference the graph we have below to see how the prices change day by day. We’ve filtered it down to just the 5 day ticket so you can see the variability a little bit more. This is now showing you the total ticket cost. We’ll start with December 2018 because Disney doesn’t have all of December of 2019 prices loaded yet. Anyone want to guess why they don’t have them loaded? It might have something to do with the timing of the opening of Galaxy’s Edge! Of course we are just speculating, but it would make sense. So, we’ll compare December of 2018 pricing under the new Disney World date-based ticket system to the old one. What you will find is a huge increase, if you want to go around Christmas and New Year’s. We’re talking $55 per ticket. That’s almost 14%! Disney must know something about demand and elasticity. Costs in January are higher than before for the first 3 weeks or so of the month. Tickets will run you about $20 more, depending on how close to New Year’s you want to go there. You see a decline from prior pricing in the last 10 days or so. Not much of a decline, around $5 per ticket. The lower prices of January carry over into February. 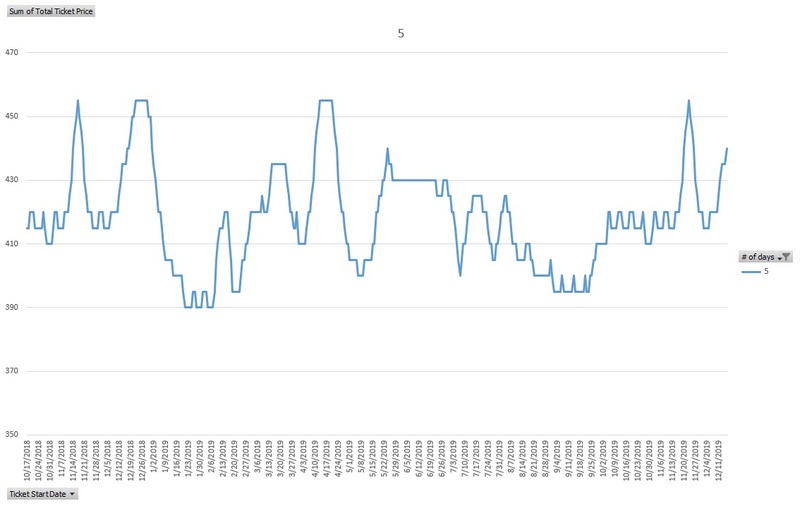 However, you see a spike right around President’s Day, with prices high than the prior system by about $20 per ticket. After Presidents day they decline to about parity with the old ticket prices. As you head into March, you’ll find healthy increases of $20 – $35 per ticket around the middle of the month when Spring Break kicks in. From here forward prices are going to be higher under the new Disney World date-based ticket system, until you get to September. As you head into April, you’ll continue to find prices higher by $10-$20 per ticket. That is, until you get close to Easter. When you hit that week, you are going to pay much more! The total 5-day ticket cost increases by as much as $55 under the new Disney World date-based ticket system pricing around the holiday. Ticket prices in early May drop back down towards parity with the old ticket prices. From those first few days of May, ticket prices are on a straight march higher. They max out right before Memorial Day, with tickets running $40 higher than before. June ticket prices are some of the least volatile of the year. They basically sit at the same price all month. These prices are going to run you $30 per ticket more. Through the month of July, you’ll see prices come down a bit from June. Oddly enough, the pricing around July 4th (American Independence Day for our International folks) will only run you around $20 more. Given the increases we saw around Easter and Memorial Day, we would have expected more. The month of August sees prices start relatively higher at $25 per ticket more. However, as school gets back in session you see prices start to come back down. Prices end the month about the same as they used to be before the Disney World date-based ticket system pricing went into effect. September sees the return of relatively cheaper prices. They actually feature lower prices for most of the month. Ticket prices will run you about the same as before the pricing system change, somewhere close to $400. October tickets jump back up to about $20 per ticket higher. The days you go affect that to some degree, but not much. As we finish out the calendar review, November is the last month with a full set of prices. What you find is the elevated prices of October carry into the month, with those first few weeks costing you around $20 per ticket more. However, when you get to Thanksgiving you will find that same $55 per ticket cost increase. They immediately drop back down right after Thanksgiving ends. 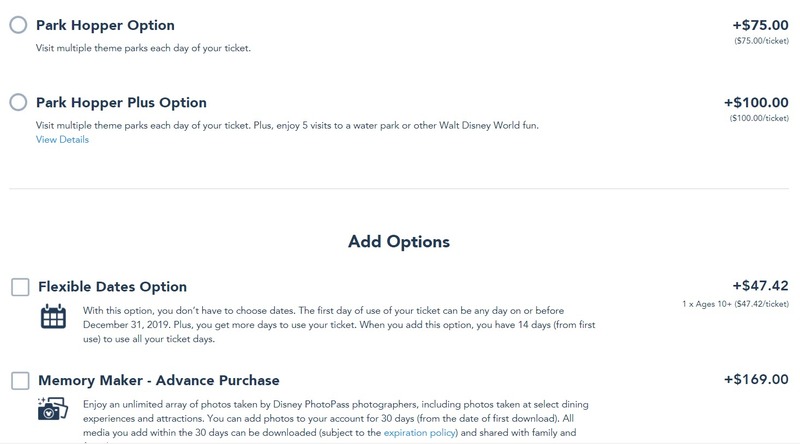 In addition to the base ticket cost, Disney allows you to select Park Hopper, Park Hopper Plus and a few other options as add-ons to the cost of your ticket. We sampled a set of different options and didn’t find any variability in the cost of the add-ons with one exception. The Park Hopper add on will run you $75 per ticket, while Park Hopper Plus costs $100. Memorymaker will cost you $169. There is no price increase here, oddly enough. I guess Disney felt bad for giving us two price increase in less than 12 months. The only new add-on is the flexible dates option. Disney will let you essentially make your ticket usable whenever, if you purchase this option. They do that by raising the total cost of the ticket. Disney is wise and is trying to prevent ticket cost arbitrage here. By selecting this option, you are essentially paying the difference between your ticket’s cost and the cost of the most expensive ticket in the year you are buying a ticket for. We’d suggest you just know when you are going and save the amount you are paying for this option. To give you an idea, we tried several options and the flexible dates add on cost anywhere from $20 to $60 per ticket. The cheaper the ticket we priced (on a cost per day basis), the more expensive the flexible ticket option was. Do Days of the Week Matter? Under the new Disney World date-based ticket system, many people figured that the day of the week you showed up at the park would matter. That included us. However, in looking at the chart at below here, you can see that it actually doesn’t. At least not much. For a point of reference, day 1 is Sunday. Don’t get us wrong, there are definitely some times where showing up on a Friday or Saturday will cost you more. However, on a ticket cost per day basis, you are generally only talking a dollar or two per day more. We thought it would be around $5 per day more. In general, if you want to save a few bucks, don’t show up on a Friday or Saturday. Come on a Wednesday for the lowest prices. One thing that Disney conveniently snuck into the press on the same day that their date-based ticket system debuted was a different price increase. This time on the annual pass. The amount of the increased depended on they type of pass. Passes for Florida residents increased about $20, with others going up $40, give or take. Again, the size of the increase is dependent on the type of annual pass. They also snuck in an increase in the parking costs at the theme parks. Standard parking went from $22 to $25 per day. Another healthy increase of over 10%! Parking costs at the resorts did not change. Is it Enough to Change Crowd Behavior? One of the big things we (and others) expected this new date-based ticket system to do was to help Disney control crowds. Use the power of the almighty dollar to get people to come at slower times and help control some of the chaos. Are the differences in prices enough to drive that type of behavior? For now, we’re skeptical, but time will tell. It also remains to be seen how Disney will adjust their prices. Like we said when the new Disney World date-based ticket system was announced, we expect them to eventually invoke an airline type system. This means tickets will cost more as we get close to a date or as few tickets remain. We’ll be watching how ticket prices change month to month to see what actually happens. Color us especially skeptical of the ability for this to influence people with children. 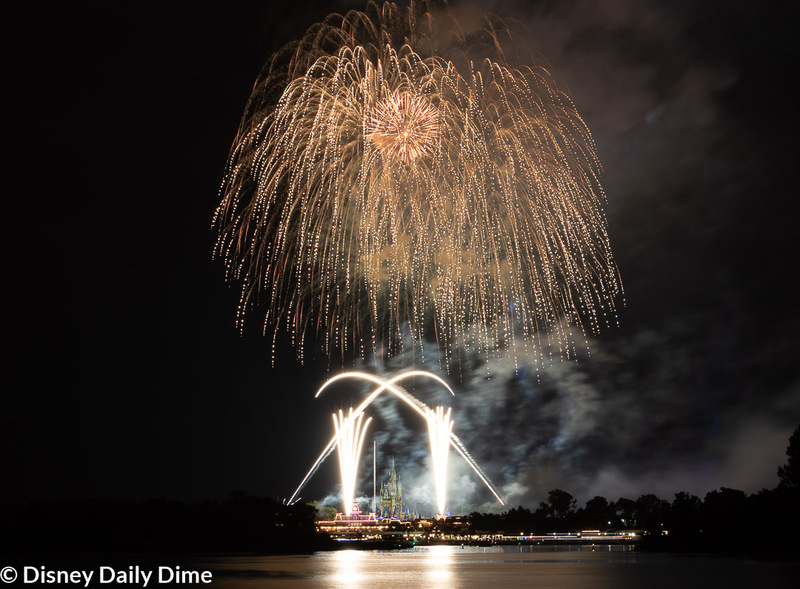 The single largest demographic that goes to Disney World! If you have kids in school, your ability to go during those cheap times of year are pretty limited. In the coming days and weeks, we’ll give you a more complete look at the pricing data. Just give us some time to mine through it. As we see interesting facts and changes we’ll post updates. We’ll also be looking at price changes each month. Stay tuned to see how Disney World’s prices change as time moves on. Well, the Disney World date-based ticket system certainly doesn’t appear to a good thing for most people’s wallets. While a select few will benefit from price decreases in about 7 weeks of the year, the rest of us will suffer. It’s not especially surprising to us and we assume not to you either. If you found this recap of the new Disney World date-based ticket system helpful, we’d appreciate it if you would share it on social media. It helps spread the word on our blog, and allows us to reach more folks. We’re always greatly appreciative of anyone that takes the time to reach our work and share it with others. To share, just use the socials sharing buttons on this page. Thanks again and stay tuned for more analysis on the pricing change!